Green Mustang - What Green Mustangs Are Your Favorite? 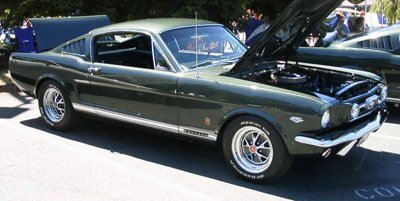 While a Green Mustang may not be everyone's choice, many enthusiasts say that green pony cars are the best Ford Mustang color. Period. 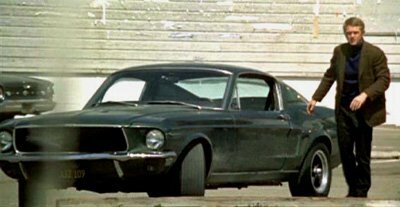 Probably the most famous of the Mustang Green brigade is the original Mustang Bullitt, which achieved legendary status in it's starring role with Steve McQueen in the movie. Bullitt. 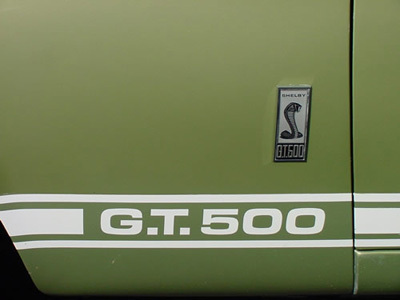 Of course, the other kind of Green Mustangs are those that post incredible achievements and are better for the environment, like Brent Hajek's FR500C Mustang (actually red in color), which included soy plastic body panels and soy based foam seats and was powered by E85 fuel to a new land speed record. Although green Ford Mustangs have been available since virtually the beginning, there have been an enormous variety of colors that had green in their name. 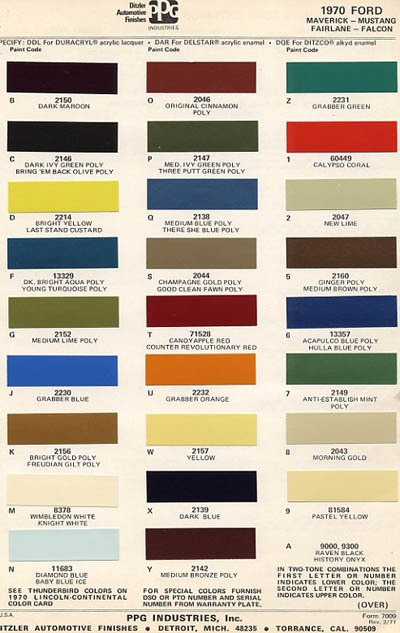 For example, if you look at the 1970 Mustang Paint Codes, you'll see no less than four choices of green for that model year. While the Classic British Racing green is missing from the Mustang paint palette, this 1966 Ford Mustang fastback had it's own version, called Ivy Green Poly. 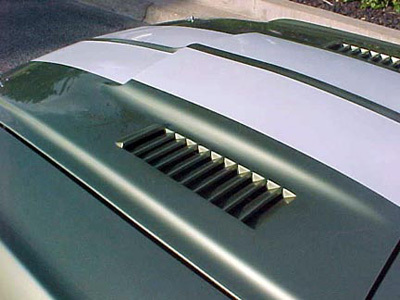 Not to be outdone, The 1967 Shelby GT350 and GT500 had choices of either Lime Gold which was a green gold combination. 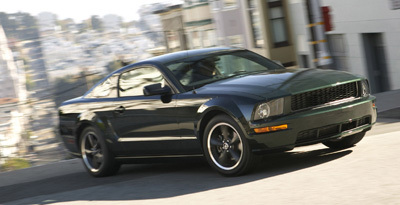 Or a Dark Moss Green which was often thought to be the same color as seen on the Mustang Bullitt. The 1969 Mustang Mach 1 was also available in a green known as Black Jade. And of course, the last of the incredible first generation muscle cars, the 1970 Boss 302 came in a not particularly popular at the time Medium Lime Green. Interestingly, since these were relatively rare, and most tribute cars also are painted in the popular grabber colors, this color is becoming increasingly popular. 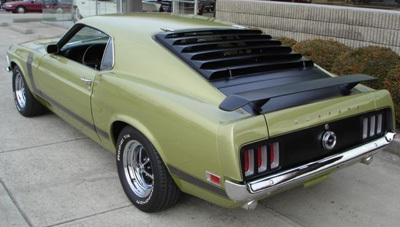 Second generation Mustangs (1971,1972,1973)were also available in various green colors. This 1971 Mustang Mach l was available in a very cool looking Dark Ivy Green Metallic. 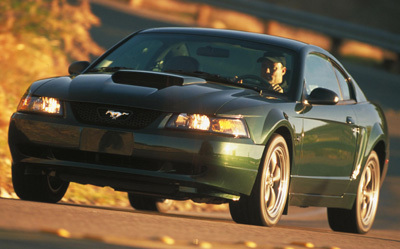 Resurrecting the famous hyland green car from 1967, is the 2001 Mustang Bullitt. So What's Your Favorite Green Pony Car ? We all have our favorite Ford Mustang. Now is the time to nominate and vote for your green colored favorite! Take the poll and vote your choice. If you have a favorite, not mentioned here, contact me with the form below and I will include it in the poll. All I ask, is that you include the year and model, or which special Mustang (eg. 2007 Roush 427R) and the name of the color. Pictures are acceptable, as long as you have the rights to them.